Remember when this used to be a book blog? Yes, I have been slack in recent months but I have been reading nevertheless and I might catch you up on a few things in one post to save time. In the meantime however, here is an actual book review. I've not read many of Zadie Smith's novels but every time I pick one up I am reminded of just how compelling her work is. She is a born writer who manages to create flawed characters who somehow remain likeable and fascinating. In her latest offering we are introduced to a nameless young mixed race girl who grows up on a London estate in the shadow of her mother's political activism. But the story is really about her friendship with Tracey, a girl she meets at a dance class. The pair are united in their shared heritage and love of dance and musical theatre. 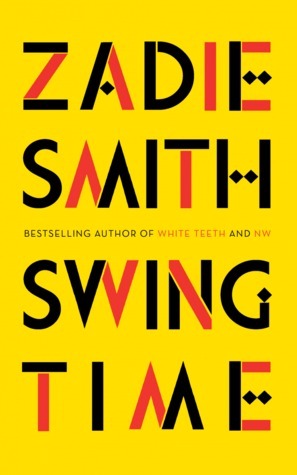 As the lives of the two girls diverge, Smith challenges us to question how we define success, and whether there is ever any escaping the familial ties which bind us. This is a book which addresses big themes such as race, class, feminism and friendships. Through the eyes of our narrator, who becomes an assistant to an international pop star, Smith shows us the arrogance of wealthy westerners who remain wilfully ignorant of the way their interventions in African countries can have lasting effects both positive and negative. The narrative covers a long period of time and has the feeling of a character reminiscing about her past. It is the characterisation which makes the book so fascinating. Our protagonist remains nameless yet we gain a deep insight into her daily struggles as she tries to work out where she fits in a fast paced modern world. In many ways, she is a loner, struggling constantly to make lasting human connections. As a result, her best friend from childhood is often in her thoughts and the narrator is never really able to let this relationship go. Infinitely readable and absorbing, Swing Time is well worth a read. Thanks to the publishers and Netgalley for providing me with a copy in exchange for an honest review.